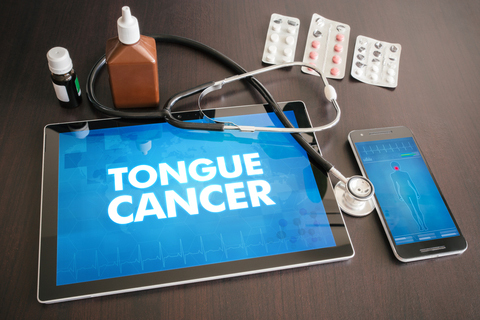 Tongue cancer is a distressing ailment that can arise not only from the obvious—tobacco and alcohol—but from a variety of surprising sources. Here, we discuss treatment and prognosis along with tips on how to avoid it in the first place. Among the common causes of tongue cancer: tobacco, alcohol, and the "double-whammy" of tobacco-alcohol use together. Tongue cancer is the most common mouth cancer in the United States, responsible for around 2 percent of all cancers diagnosed. It affects men twice as often as women. The incidence varies greatly between countries, a fact that points to its link to societal habits such as chewing betel nuts and reverse smoking (putting the lit end of the cigarette in the mouth)—common in some countries but rare in the US. Tongue cancer diagnosis is often delayed, as it mimics more common innocent conditions. In addition, it’s a difficult disease to manage because any treatment affects chewing, swallowing, and speech. Unlike many other cancers, we do know what causes tongue cancer in the majority of people. Tobacco. As with other cancers of the mouth, the greatest risk factor is tobacco usage. There is a direct relationship between total exposure and risk of cancer. Smokers are six times more likely to get tongue cancer than non-smokers. Tobacco exposure causes changes in cells over a period of years, a process that can be reversed if the person stops.A recent upsurge in the use of snuff and chewing tobacco has led to a rise in tongue cancer in the U.S. Reverse smoking is a peculiar habit in which the smoker puts the lit end of the cigarette in the mouth and inhales. It is linked to a high risk of all mouth cancers. Alcohol. Alcohol consumption is also a significant risk factor, especially in people who frequently drink hard liquor. Tongue cancer is six times more common in people who drink a lot and often. Double whammy: Tobacco and alcohol. The combination of smoking and alcohol has a synergistic effect on tongue cancer risk: People who smoke and drink are 15 times more likely to develop this cancer compared to people who engage in neither habit. Betel nuts. A common habit in Asia is the chewing betel nuts—a powerful stimulant—along with slaked lime (calcium hydroxide). This combination is highly irritant and carcinogenic. The human papillomavirus (HPV). HPV is associated with precancerous and cancerous changed in the tongue and mouth and is thought to be responsible for a recent spike in oral cancers. Vitamin and mineral deficiencies. Emerging evidence suggests that deficiencies in vitamins A and C, riboflavin, and iron may increase the risk of tongue cancer. Plummer-Vinson syndrome. Plummer-Vinson syndrome is a rare condition characterized by low stomach acid, iron deficiency anemia, and mucosal changes in the mouth, pharynx, and esophagus and increased risk of tongue cancers. E-cigarettes and vaping. The long-term effects of these fairly new habits have yet to be determined, but tongue cancer is a real risk. Chemicals and heating vapor enter the mouth and may cause inflammation and the potential risk of tongue cancer. Watch this space! Leukoplakia is defined as thickened, white patches in the mouth and on the tongue. 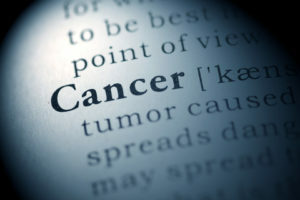 It is usually benign but may be a precursor to cancer. Erythroplakia is defined as red, velvety plaques that bleed easily. It may be an early sign of tongue or mouth cancers. Stage of cancer. The 5-year survival rate for localized cancers is 78 percent; for those with spread in the mouth or neck it’s 63 percent; and for those with distant spread it’s 36 percent. Age and general health. Outcomes are better for younger, healthier patients with good nutrition. Treatment choices (see below). Continuation of tobacco and alcohol habit significantly decreases survival rate. Quitting improves outcomes. Superficial lesions are usually treated with either radiation or surgery, while deeper, larger lesions are usually treated with a combination of the two. When the cancer has spread to the lymph nodes in the neck (cervical nodes), they may need to be removed or radiated. The therapeutic decisions usually take into account the person’s age, lifestyle, and preference. Radiation preserves the anatomy and function of the tongue. There are three options: Traditional external beam radiotherapy, orthovoltage radiotherapy, and brachytherapy, in which small radioactive seeds are injected into the diseased area. Radiation may result in significant swelling (edema) of the tongue that interferes with breathing, necessitating a tracheotomy (tube in throat to facilitate breathing). Surgery involves removal (resection) of the tumor. The extent and position of the surgery influences the effect on the function and anatomy of the tongue. Chemotherapy’s use is limited to those patients with large tumors that have spread. Its effectiveness is not well understood. alcohol, alcohol consumption, anemia, brachytherapy, calcium, cancer, cancer diagnosis, cancer risk, cancer symptoms, cancers, chemotherapy, dentures, edema, good nutrition, health, inflammation, iron, iron deficiency, low stomach acid, mouth cancer, nutrition, nuts, pain, radiation, radioactive seeds, radiotherapy, smoking, stomach acid, throat cancer, throat cancer symptoms, tobacco, tongue cancer, tumor, ulcer, vitamin, vitamins.